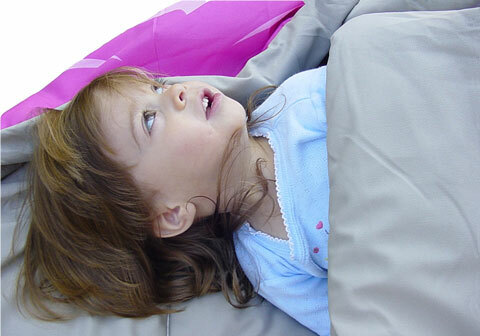 Caring properly for your sleeping bag means that it will last a long, long time. Whether your sleeping bag is synthetic or down, you'll need to clean and dry it in order to remove body oils, dust, and grime. If you don't regularly remove dirt, the effectiveness of the bag's insulation will be decreased. You can either machine wash your bag, or you hand-wash it in the bathtub. If you choose the washing machine route, choose a front-loading machine and set the dials so that you wash the bag in warm water and rinse it in cold. Use a small amount of mild soap. If you choose to wash your bag in the bathtub, fill the tub with warm water and use a mild soap. Knead the water through the bag, paying special attention to the head and foot areas. When the bag is clean drain the tub, but don't lift the bag out yet. As the water is draining, press the water out of the bag without wringing. You'll need to fill the bath with cool water three or four times and repeat the rinse cycle in order for all the detergent to be removed. Dry your bag in a large commercial dryer at a laundromat with a few terry cloth towels and tennis balls. Set the heat on medium-low, and be prepared to spend a lot of quarters and at least three or four hours before your bag is completely dry. In addition to washing your bag, there are a few other steps you can take to extend its life. Be sure to stuff your sleeping bag instead of rolling it. Stuffing it is better for the fabric and the fill. 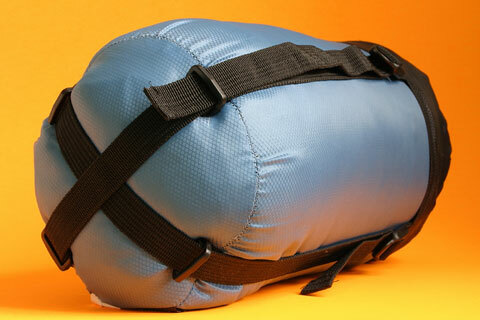 Never yank your sleeping bag from your stuff sack, and always choose a storage bag that is large and breathable. 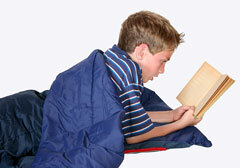 Wearing a t-shirt, shorts, and socks to bed will keep sweat and oil off your bag. Always put your bag on a ground cloth, and air out your bag after each use. Many children enjoy using their sleeping bags for sleepovers, backyard campouts, family camping, and scouting expeditions. 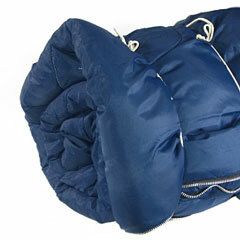 It is important to clean and dry these sleeping bags thoroughly after each use, before storing them. This will help ensure that they are ready for their next use, without having to deal with accumulated odor or mildew problems.